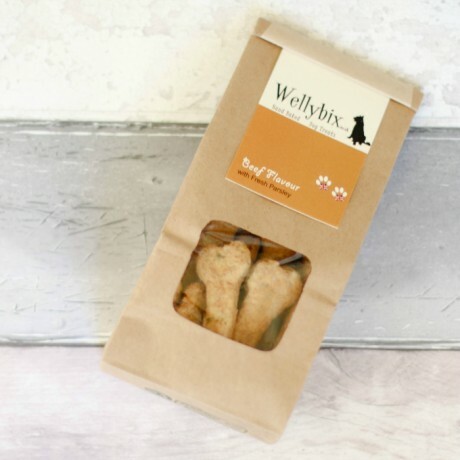 Ingredients: Wholemeal and plain flour, wheat bran, beef stock, sunflower oil, fresh parsley, skimmed milk powder. Parsley is very nutritious and contains lots of vitamins, minerals and fibre. Wheat has a calming effect and wheatbran provides bulk and fibre to the diet and so is good for constipation. 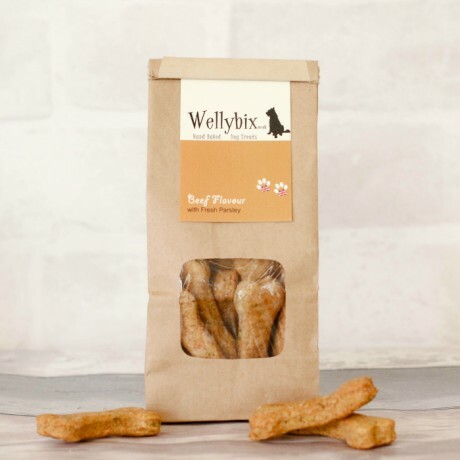 This product is dispatched by Wellybix. This item has a shipping weight of 110g.